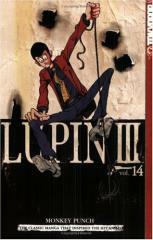 When Lupin gets stuck in a magic bottle, he may need a woman’s touch to pop his cork. But don’t break out the champagne glasses just yet – Zenigata is about to unmask Lupin’s true identity! To top it off, Lupin’s having a hard time penetrating a seemingly impregnable apartment.